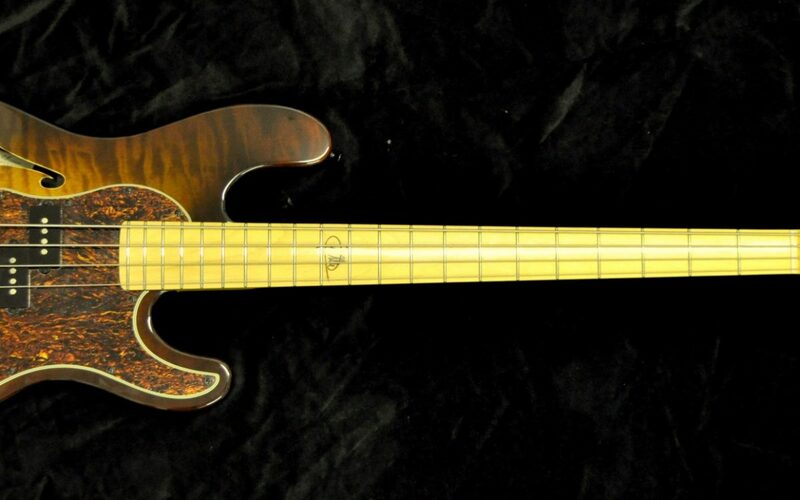 This bass is custom built for Øivind Vilbo, bass player with the legendary Norwegian progrock band Junipher Greene. 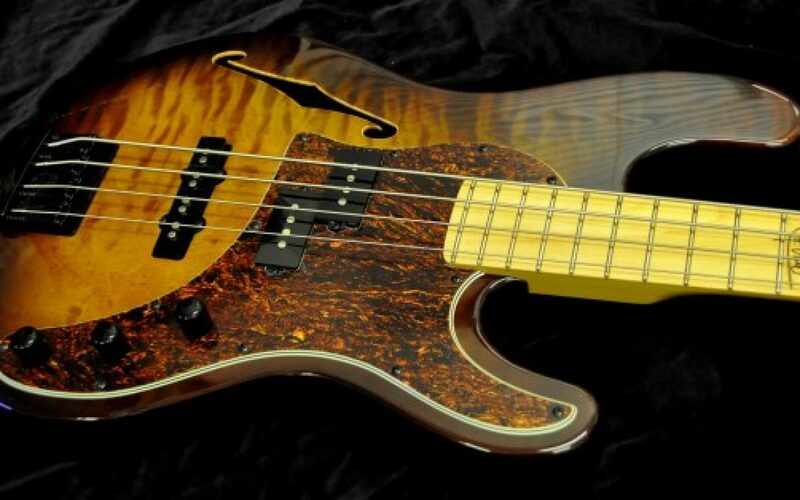 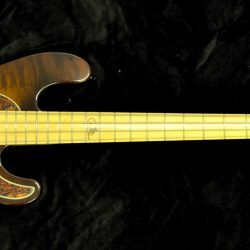 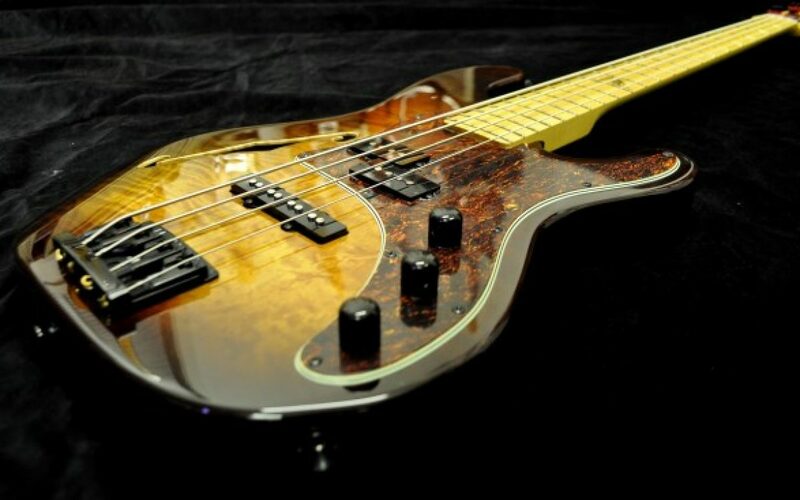 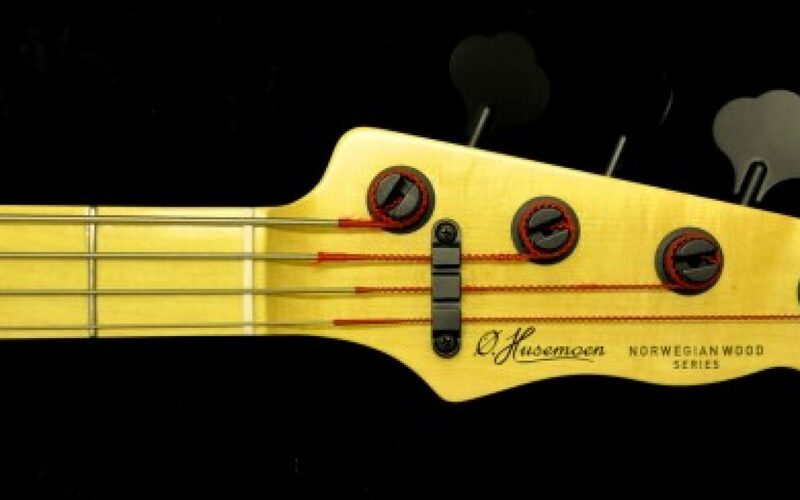 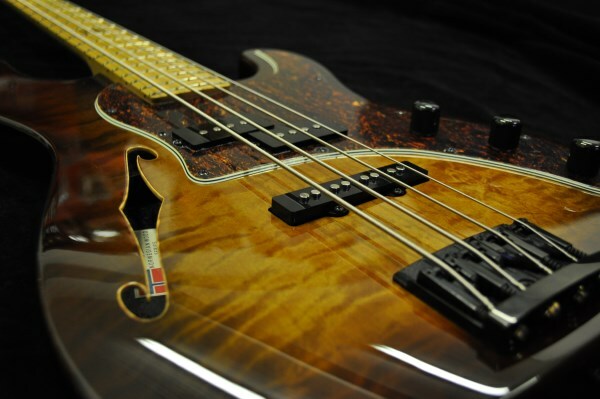 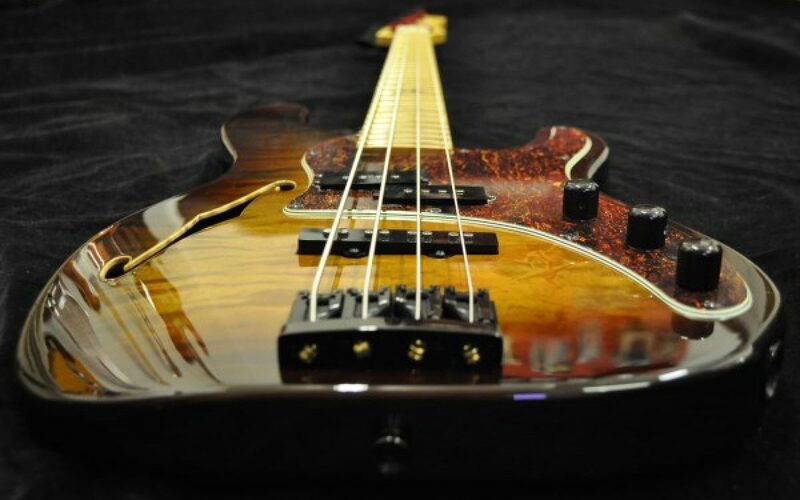 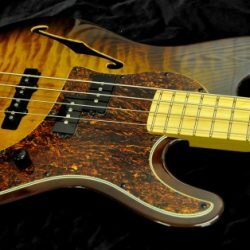 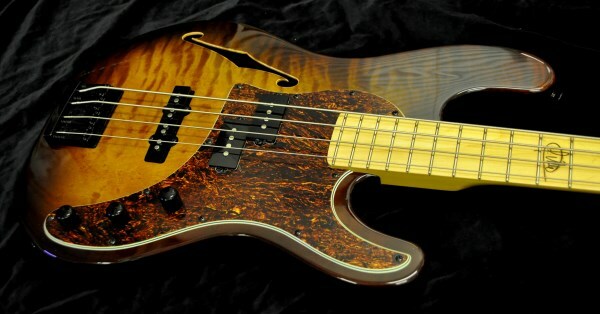 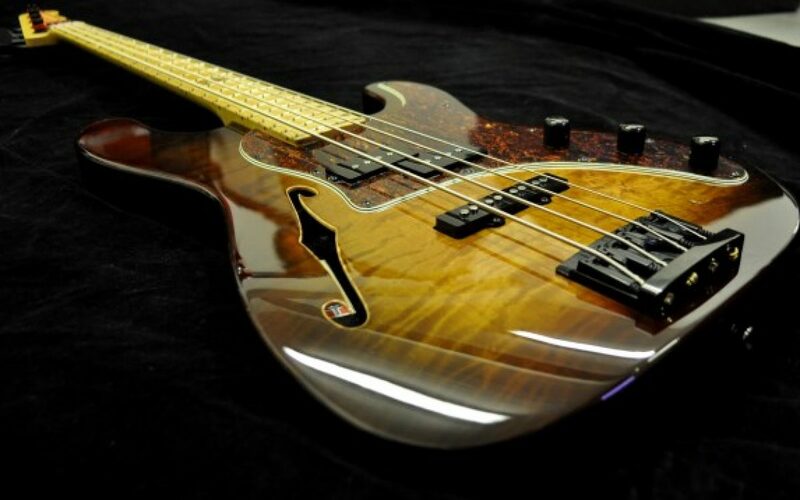 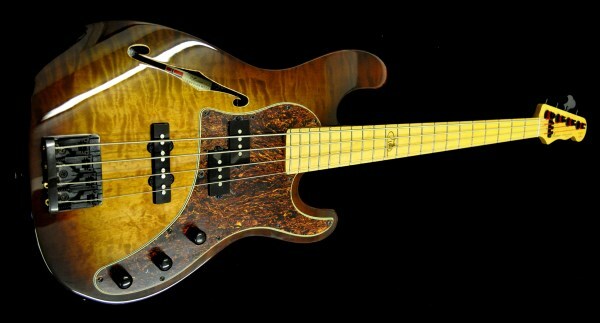 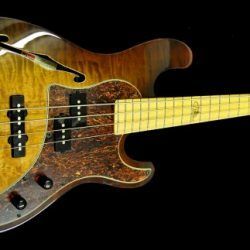 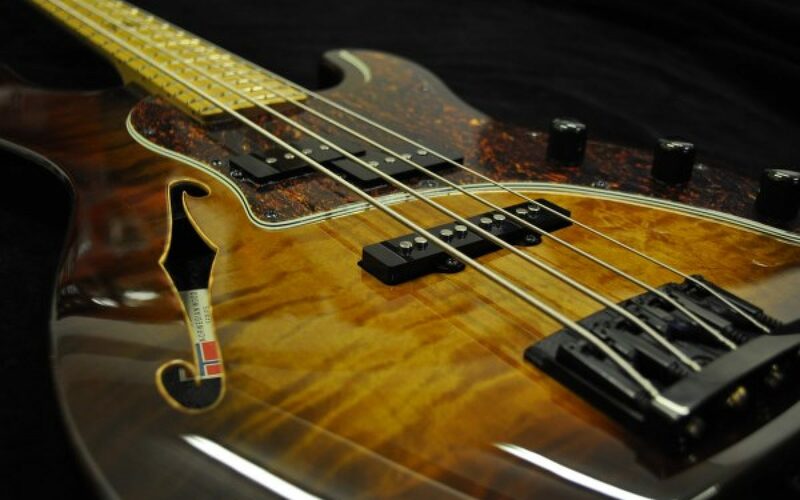 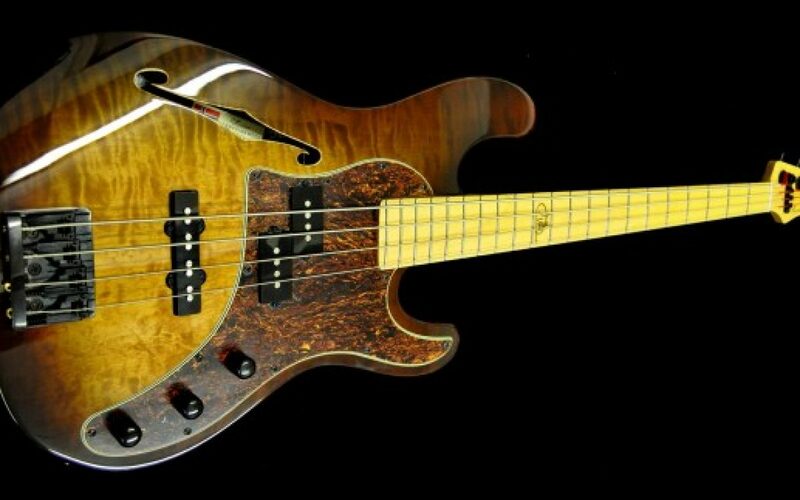 This was the first bass to enter the Norwegian Wood Series family. 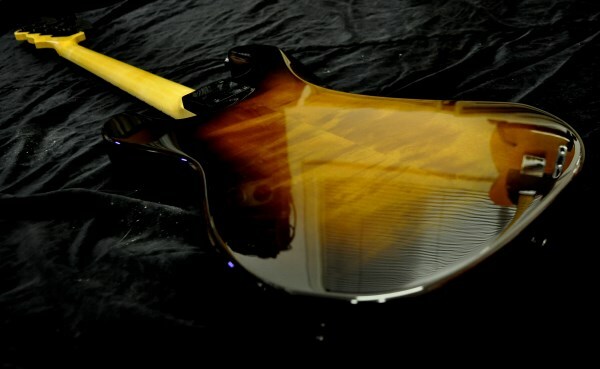 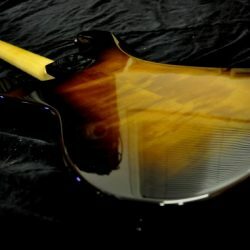 As with our guitars we have made no compromisses with either the looks, playability or sound. 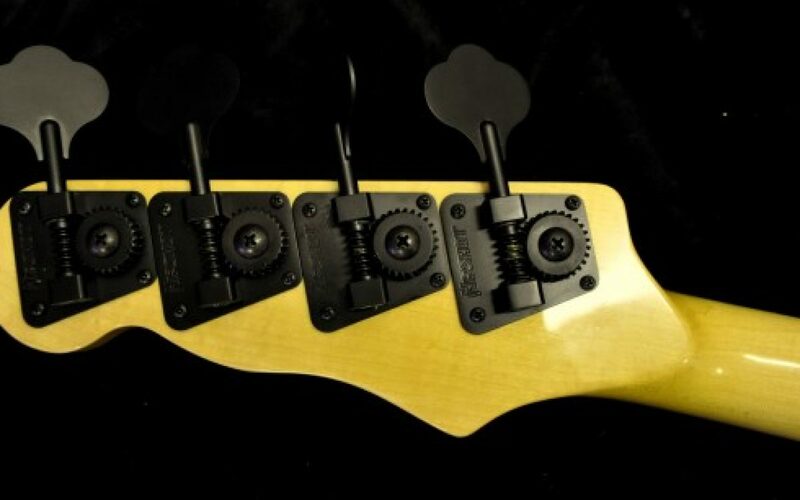 We have adopted some of the ergonomic features from our guitars such as a tilted fretboard, allowing a straighter angle on your left hand whrist, and a narrow neck joint giving easyer access to the upper frets. 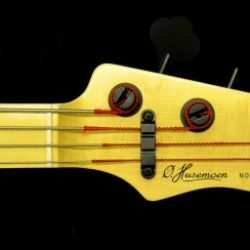 To make sure that you reach the highest E we have also given it 21 frets. 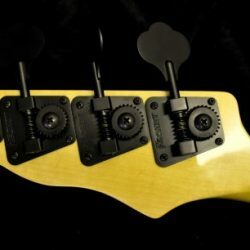 Edmire Pickups has developed some great sounding pickups, and we have put a lot of attention in to their positioning. 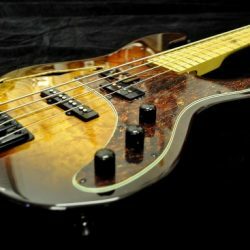 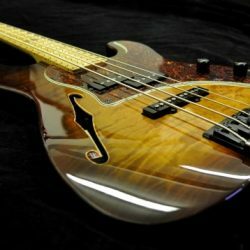 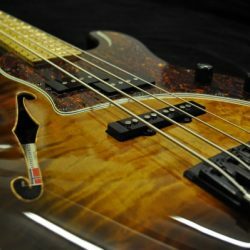 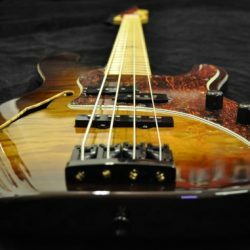 The result is a clear and open bass sound with a lot of punch. 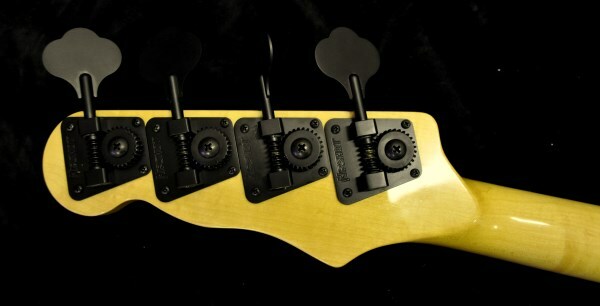 The neck-pickup can be switched from series to paralell to create a sound that is both smoth and warm.